Join SCAI for our Women in Innovations (WIN) Physician Leadership Summit April 27-28 in San Diego, California. Come hear Dr. Susan F. Reynolds, CEO of the Institute for Medical Leadership, speak about the success factors that make good physician leaders and specifically what makes a great female physician leader. On Saturday, be a part of SCAI's WIN Forum, which will provide you not only with high-caliber scientific educational content but also an opportunity to network, meet mentors and discuss specific professional development topics specific to women. Dr. Reynolds is CEO of The Institute for Medical Leadership and the author of Prescription for Lasting Success: Leadership Strategies to Diagnose Problems and Transform Your Organization. 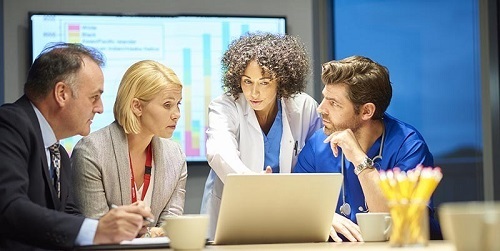 During this interactive presentation, Dr. Reynolds will share data about the success factors that make good physician leaders and specifically what makes a great female physician leader. She will share her insight on how physicians' personality types and communication styles differ from C-suite executives and how to use this information to advance your vision and career. Joining her will be a panel of healthcare executives and physician leaders who will share their personal experiences and pearls of wisdom for being a female leader in today's healthcare industry. 8:35 a.m. Valvular Heart Disease: Which Patients Are We Getting to Treatment and When Are We Missing the Boat? 2:30 p.m. What Is an OBL and Should I Start One? 4:05 p.m. Next Generation of Female Interventionalists: How Can We Increase the Pipeline? View the special issue online today. After implementing process changes including the use of Pulsara to coordinate care, St. Elizabeth Healthcare reduced their door-to-balloon time by 30%. Read the case study!